The Spring lake Police Department responded to reports of a naked man running around W. Manchester Road near N. Bragg Blvd. Sunday morning. SPRING LAKE, NC (WTVD) -- Spring Lake Police said a man died shortly after jumping into Little River in an effort to escape being arrested for running around naked Sunday morning. Officers responded to multiple reports of a naked man running around W. Manchester Road near N. Bragg Boulevard around 9 a.m.
Police said when they tried to apprehend him, Bernard Bryant, 29, jumped into the Little River behind the Church of the Covenant. 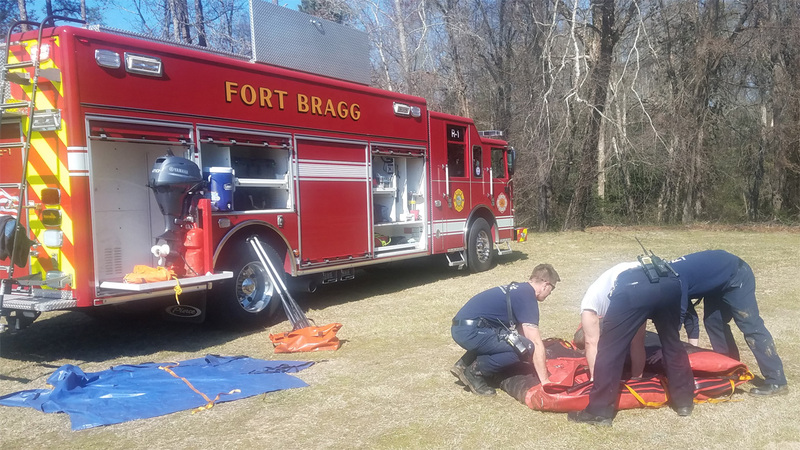 The Spring Lake Fire Department with Fort Bragg Fire and Emergency Services extricated Bryant from the river and he was transported to Cape Fear Valley Medical Center. Police said Bryant was pronounced dead at the hospital.